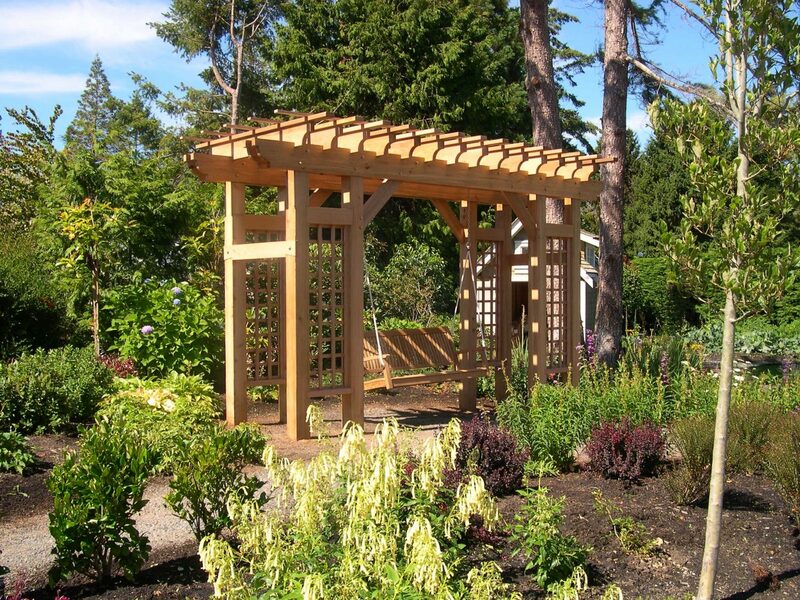 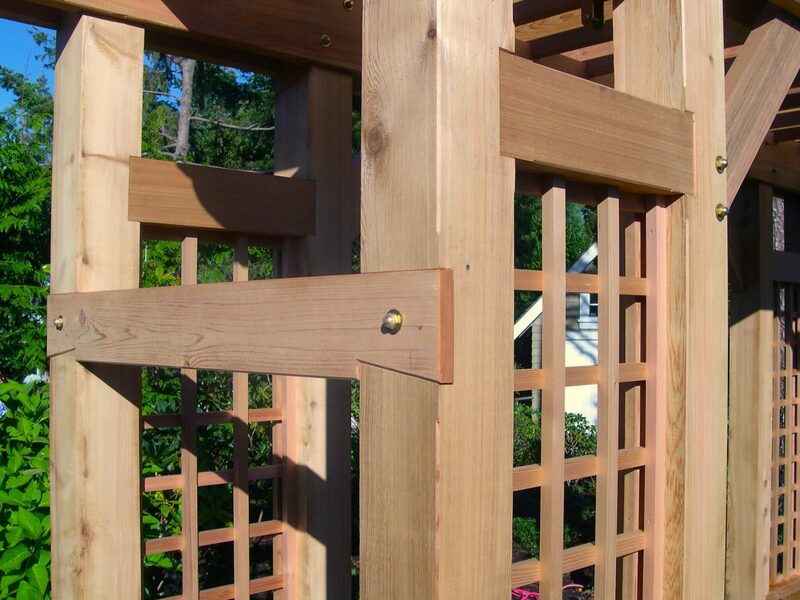 This was the first in a series of structures we built for a waterfront property in Victoria, B.C. 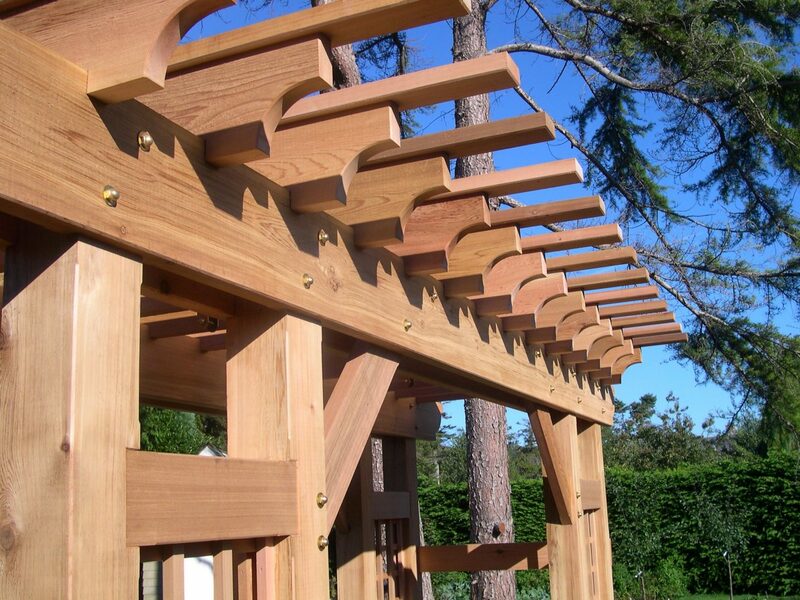 Traditional timber-frame joinery and brass fastenings were used throughout. 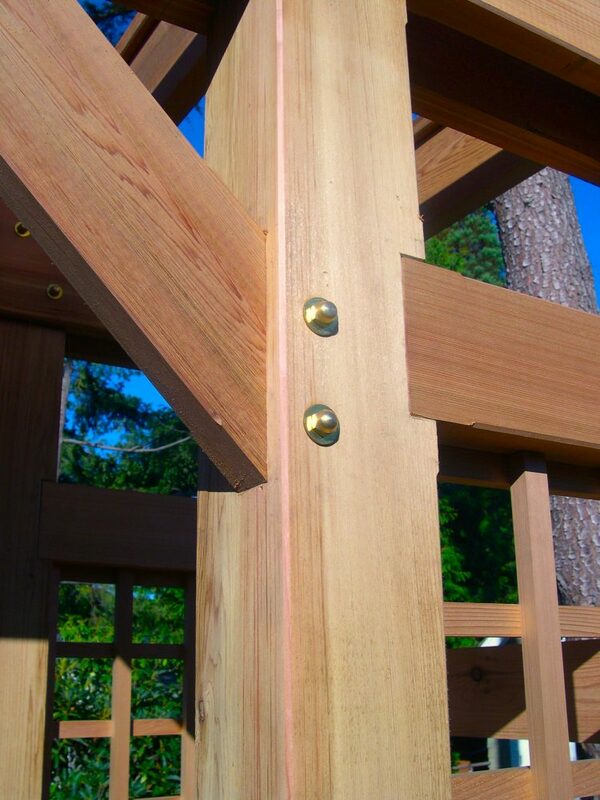 The teak bench was sourced by the client.